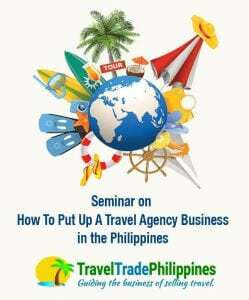 Are you searching for a seminar on how to put up a travel agency in the Philippines ? There are several companies offering this kind of seminar but make sure it is facilitated by practitioners in the industry, meaning they speak from experience and actual situations. Also, it should be entrep oriented, speakers should present a realistic analysis on how are you going to get your ROI and still enjoy your passion. Note that travel agency business is not some kind of networking business, and the products you will be selling require technical knowledge, hence the seminar should be able to equip you with initial training on the technicalities of the business. Learn the current set-up of the Philippines travel business industry? Know the current trends in the Philippine travel industry? Know are the current global trends in the tourism industry? What is the difference between IATA and NON- IATA? What are the products and services a travel agency can offer? How much is the capital in setting up a fully operational travel agency business? 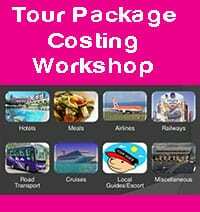 How do you earn in a travel agency business? What are the requirements in setting up a travel agency? How can we help you set up your own travel agency business? 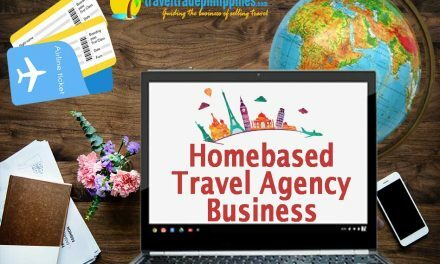 This seminar tackles on How to Start a Travel Agency Business in the Philippines, giving an overview on how to start, run and manage a travel agency business. It is open to anyone who has the knack for selling experience and delivering sound customer services armed with the latest tools in travel. Deposit an amount of P 2,000 to BPI Acct No. 4939 0070 38 | Acct Name: Clariza Nalam , then email the deposit slip to traveltradephilippines@gmail.com. Don’t forget to indicate your name and mobile number so we can get in touch with you. Attend the seminar on “Travel Business 101: Understanding Travel Agency Business”. Held every Thursday (9am to 2pm), and Sunday (1pm to 6pm) at Travel Trade Philippines, IFI Complex, 1500 Taft Avenue corner JL Escoda St., Ermita, Manila. If you want to attend , sign up in the following form so we can get in touch with you. Please expect a confirmation message about your preferred date of learning session and instructions on getting to the venue. Hi, may I know the name of this company that offers a seminar on how to put up a travel agency you are recommending? Thanks. Hi, I submitted this form a couple of weeks ago but did not get a confirmation. I am interested to attend this Saturday’s seminar, Feb 7. Thanks! 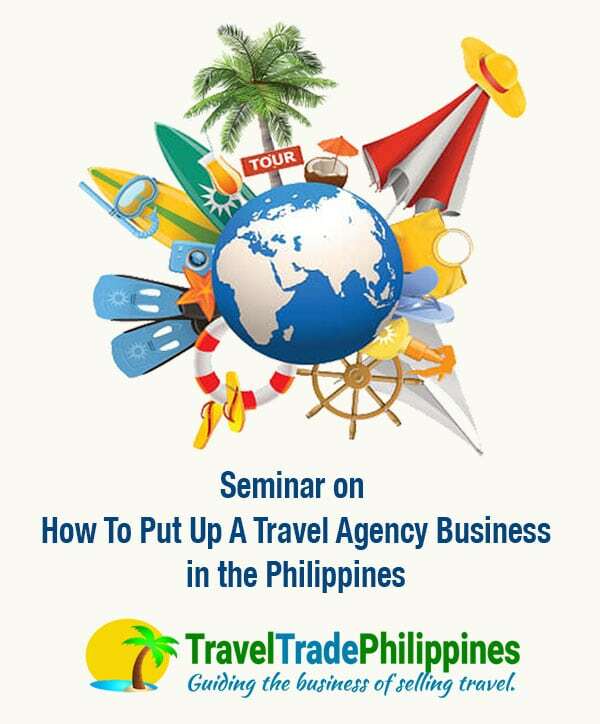 http://traveltradephilippines.com/seminar-on-how-to-put-up-a-travel-agency-in-the-philippines/ then your schedule has been noted. thanks! I am interested but I live in cebu, do you have trainings here in cebu? When?Where? Hi. I’m planning to put up my own travel agency. They will be conducting seminar, but I know I need more knowledge about the line of business. Please send me details about the seminar and the payment. And if possible for me to avail the 50% discount. Have a blessed day! I am gathering more info how can I have my own travel agency please update me if there’s seminar and what are the requirements to prepare and even the finances. thanks for your massive action regarding my request. God Bless us more! is this course available only in Manila? Is there any such seminar in Cebu? Appreciate any information or assistance. What is the name of the company conducting this seminar? HI When is the next seminar for this? Thank you very much for the information. I am interested to join the seminar but I’m from Cebu. Do you have an idea if they are also holding a seminar in Cebu? Would appreciate your reply. Have a nice day ahed! 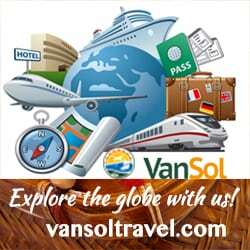 Hi.. Im planning to set up an online travel business here in the philippines.. Any estimate amount of how much is needed to put up that business and any suggestions on the process of setting it up? Hi may I know the name of the company conducting this seminar? Hi! I have a trravel agency. Can you help me look for Direct tour suppliers here in the philippines and in Asia too? Thank you! Hi. I filled up the suggested form for seminar registration. I chose Aug.8, 2015 (Sat). I hope to get confirmation from you ASAP and also would like the 50% disc you mentioned. hi. i’m willing to attend the siminar, may i know the name of the company conducting this siminar? Hello, do you always conduct seminars? Hi. If I’ll attend this seminar, will I receive a certificate that DOT is requiring for accreditation? Hi, sorry, this is not a DOT accredited training. ms. clariza where is the venue of seminar? Hey there, I would like to ask an assistance on how to start a home-base travel agency business. Do you conduct seminars in Cebu? I am interested to attend this seminar but im hre in Kalibo Aklan. I’m planning to put up my online travel agency. What are the requirements? Hi, I see that the seminar is held in Pasig City. 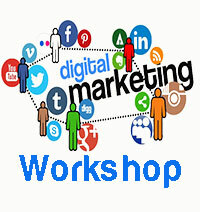 I am from Bacolod, and I would like to know if you have webinars that I can attend to? Hi,i’m interested to attend a seminar on how to put up a home base travel agency.when and where is the next seminar after june 17,2017.alex garcia.